How many left-over LEGO bricks are resting in your drawer? Want to use them to make something cool? Then you may like to build a LEGO safe by yourself. 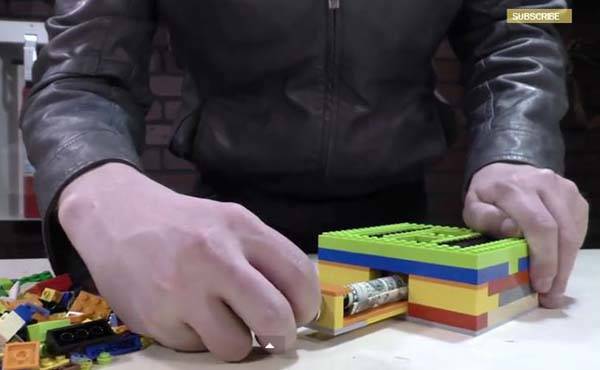 The following video will show us how to use your old LEGO bricks to build a functional safe storage box. The LEGO safe features a small magnet attached to the interior of its hidden drawer, so you must know where the internal magnet is and use a metal “key” to unlock the safe, and accessing your valuables. Like the safe solution with your favorite LEGO bricks? After the break, check out the following video. BTW, don’t forget to check the project of LEGO quadcopter and more via following tags.